If you watched the 2013 BAFTA Awards ceremony hosted by Stephen Fry, you may have heard him jokingly allude to 'a magistrate that gave me one final chance' - well, it's a true story... and here it is. 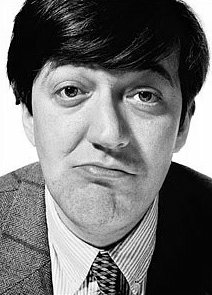 A revered writer, broadcaster, actor and raconteur, Stephen Fry is arguably Britain’s favourite celebrity, but his glittering career only took off after he reached an unlikely turning point in a Swindon hotel room on September 9, 1975. It’s fair to say that the man who suffers from a bipolar disorder and presented a TV programme about his condition called The Secret Life of a Manic Depressive led a predictably tempestuous youth. Expelled from two schools, he attempted suicide when he was 16, and after leaving Norfolk College of Arts and Technology went on a spending spree fuelled by credit cards stolen from a family friend. Fry’s eventual arrest in Swindon is recalled in detail in his autobiographical 1997 book, Moab is My Washpot. He used the stolen card to stay at a string of hotels, before the journey brought him to Wiltshire. He gave the porter a 50p tip after checking into his room, and then left to buy himself a pair of shoes, calling into a jeweller’s shop and running off with an Ingersoll watch before returning to his room. Back at the hotel, he recalls: “I picked up my key from the reception desk and bounced cheerfully up the stairs. I may be 18, I conceded, but that did not mean I was in need of electric lifts. There was spring in me yet. “I unlatched the door and was surprised to see that there was a man in my room. “Another man appeared, stepping sideways out of the bathroom. Two men in my room. Both wearing grey suits. “’Mrs Bridges?’ said the first. “God, how stupid can a man be? It never for a minute crossed my mind, until they revealed themselves, that they were anything other than strangely dressed and gendered chambermaids. Fry was handcuffed but asked to put his hand in the policeman’s pocket to spare the hotel any embarrassment. “I expected to be pushed into a waiting police car, but no, we walked on and soon I saw the reason why. 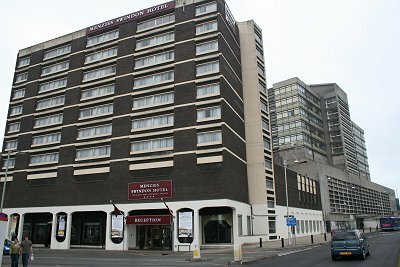 Directly opposite the hotel doors, not 30 yards away, was a huge building with a blue sign. WILTSHIRE CONSTABULARY. 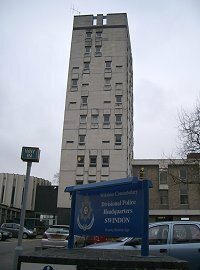 It was, indeed, the main Swindon police station, now demolished, while the Wiltshire Hotel is now called the Menzies Hotel. It turned out that the “tatty” shoes that Fry decided to replace had given him away, an alert receptionist thinking that they looked like “a tramp’s shoes”. She phoned the credit card company to discover the card was stolen, so phoned the police. Fry’s humiliation was far from complete. During questioning at the police station, he was trying to conceal his identity, but fell to a sucker punch when a policeman popped his head around the door. Fry compared this with the classic scene from The Great Escape when Gordon Jackson gives away his identity at a railway station. And there was to be no escape for Fry, either. He spent the night in the cells at Swindon police station and appeared before local magistrates the next morning, when he was remanded in custody and taken in a van to Pucklechurch near Bristol, a remand prison for young offenders. 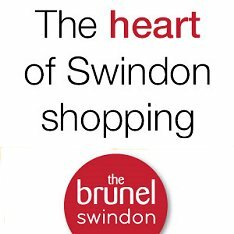 He later returned to Swindon twice – once to plea and finally to stand trial, where he was put on probation, his time on remand having been deemed a sufficient custodial sentence. Those three months at Pucklechurch must have provided him with time to think about his future, and his life turned around completely on release. He went back to college – City College, Norwich - promising to commit to his studies, and duly passed the Cambridge entrance exams and won a scholarship to Queen’s College, Cambridge. There he joined the Cambridge Footlights, a drama society that has produced many of Britain’s greatest comic actors, and even represented his college on University Challenge. 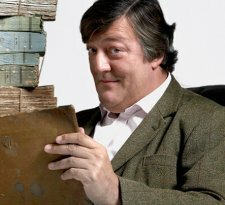 There has been no stopping the rise and rise of Stephen Fry since, with Swindon playing a key – if bizarre – role in his illustrious career.